Moving Expenses for Your First Job. You can deduct your moving expenses for job relocation purposes. If you have moved over 50 miles, you may deduct 20 cents per mile, parking fees and tolls. You may also deduct your car expenses and the costs of moving yourself and your belongings to your new home. Student Loan and Interest Paid. Previously, the IRS required that you pay student loan interest to qualify for the deduction. If your parents pay back your student loan, the IRS now views this as your parents giving you the money so that you can pay your debt. If you are not being claimed as a dependent, you can qualify to deduct up to $2,500 of your student loan interest paid by your parents. College Tuition. If your income is too high to qualify for the Hope Credit or Lifetime Learning Credit and you paid college tuition for yourself, your spouse, or your dependent, you can still deduct up to $4000 on your return. This can really offset your income and give you a break on your tax liability. Out of Pocket Charitable Contributions. You may be able to list out of pocket expenses you incurred while working or donating for charitable purposes. For example, if you prepare dishes for a nonprofit organization, you can list the cost of the ingredients you purchased. Child Care Credit. It is easy to overlook the child care credit if you pay your child care bills through a reimbursement account at work. You will be able to list up to $6,000 in child care expenses. However, if your expense is paid through a work account, you can only list up to $5,000. Military Reservists Travel Expenses. If you are a member of the National Guard or Military Reserve, you may qualify for a deduction for travel expenses to drills and meetings. In order to qualify, you must travel more than 100 miles and be away from home overnight. If you drove your own vehicle, you can deduct 48.5 cents per mile plus the cost of lodging and half the cost of your meals. Estate tax on income in respect of a descendent. If you withdrew money from an inherited IRA, you may deduct whatever taxes you paid from the amount you withdrew. $250 Educators’ Expenses. Both teachers and aides can deduct up to $250 they spent in 2008 for books and classroom supplies. You can get this deduction whether or not you itemized. State Tax you paid Last spring. If you owed tax when you filed your 2007 state tax return, you may list this as a state tax deduction for your 2008 tax return. Jury compensation paid to Employer. In many scenarios, employers require you to surrender your compensations from jury duty pay in exchange for your regular salary during the period you were fulfilling your civil duties. Even after passing this money over to your employer, the IRS still considers this to be taxable income. Therefore, you have the ability to deduct this amount as a job expense whether or not you itemized. As of June 23rd, 2008, the IRS has increased the optional standard mileage reimbursement rate by 8 cents which is in effect for the last 6 months of tax year 2008 (July 1—December 31). For any business miles driven from January 1st through June 30th, the rate stands as 50.5 cents per mile, 19 cents per mile driven for medical or moving purposes and 14 cents per mile driven in service of charitable organizations. The new rate applies to qualifying expenses that have incurred on or after July 1st. As of July 1, 2008, through Dec. 31, 2008 the rate is now increased to 58.5 cents a mile. Therefore, it is important that the qualifying miles incurred between January 1, 2008 and June 30, 2008 are recorded separately from the miles accrued on and after July 1. 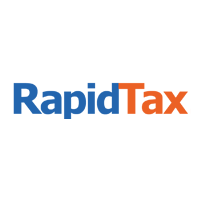 When filing at RapidTax.com, we’ll automatically apply the appropriate calculation on your business miles. – IRS Commissioner Doug Shulman. Generally, the IRS adjusts the standard mileage rates annually based on a yearly study of the fixed and deductible costs of operating an automobile for business, charitable, medical or moving purposes; however, due to the increase on gas prices, the rate has been updated to accommodate the rising cost. Since this increase also applies to medical and moving miles, they have also been changed from 19 cents per mile to 27 cents per mile. The IRS has already acknowledged the recent drop in gas prices towards the end of 2008. In result, the optional standard mileage rate for 2009 has decreased to 55 cents per mile, a slight adjustment from the 58.5 cents per mile mentioned above. Miles for medical or moving purposes will be calculated at a new rate of 24 cents per mile and 14 cents per mile for service of charitable organizations. These new rates will not effect the upcoming tax year, but rather your 2009 taxes to be completed in 2010. For more information, refer to IRS Announcement 2008-63. What is the Stimulus Rebate? The 2008 Tax Rebate is an economic stimulus payment that more than 130 million households will receive starting May 2nd, 2008. The rebate will not be taxable nor will it affect your tax liability or refund. To qualify for the stimulus rebate, simply file your 2007 Individual Income Tax return and nothing more. In order to receive a stimulus payment, a return must be filed by April 15, 2008 or October 15, 2008 (with extension) . This payment is automatic and eligibility is determined based on the information provided on your 2007 tax return. Who is eligible to receive this rebate? Taxpayers are required to meet the following conditions to be qualify for the stimulus rebate: • must have a valid Social Security Number • cannot be claimed as a dependent on a tax return • have qualifying income of at least $3,000. If you are filing a ‘Married Filing Joint’ return, BOTH people listed on the return must have a valid Social Security Number in order to qualify for the payment. Eligibility for the stimulus payment is subject to maximum income limits. The payment, including the basic amount and the amount for qualifying children, will be reduced by 5 percent of the amount of income in excess of $75,000 for individuals and $150,000 for those with a Married Filing Jointly filing status. For the purpose of the Stimulus Payment, qualifying income consists of earned income such as wages and net self-employment income, Social Security, certain Railroad Retirement benefits, veterans’ disability compensation, and pension or survivors’ benefits received from the Department of Veterans Affairs. Supplemental Security Income is not qualifying income for the stimulus payment. The IRS will determine your payment based on the information provided on your 2007 tax return. Click here to calculate your 2008 rebate. If you are an eligible individual you may receive anywhere from $300 and $600. Taxpayers who have filed a joint return, may receive anywhere between $600 and $1,200. An additional $300 payment will be made for each qualifying child listed on your return that is younger than 17 and is eligible for the Child Tax Credit with a valid social security number. When will I receive the Stimulus Payment? Stimulus Payments will be sent out in the order of the last two digits of the primary Social Security Number used on the tax return. Whether you chose direct deposit or a paper check will also determine how soon you will receive your payment. Payments will be directly deposited into your account beginning May 2. Paper checks will be mailed starting May 16. Taxpayers who file a return after April 15 will receive their Stimulus Payment about two weeks later than the normal schedule.